Cact. & Succt. J. (US) 38 55:f.6, 1966. Type: " Near San Rafael Ridge, Emery County, Utah, at about 5,000 feet elevation; Navajoan Desert; L.& L. E.Benson 16595 ", POM 311309. 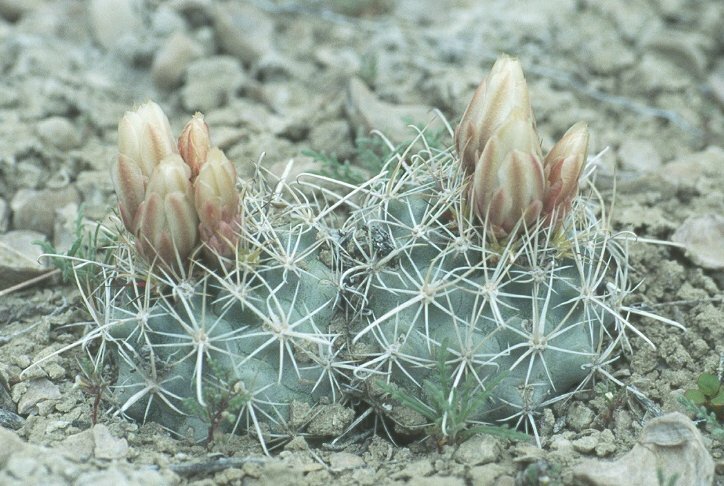 Pediocactus wrightiae (L. Benson) Arp, Cact. & Succt. J. (US) 44:222, 1972.
fh 69.7.9.6, Cainville Reef, 1,470 m.
Sclerocactus wrightiae, fh 69.7.0, near Capitol Reef National Park, UT.